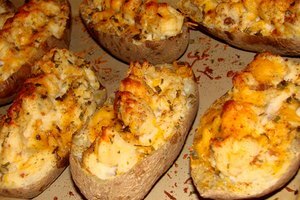 Sweet potatoes are not only tasty, they are easy to make in a convection oven. 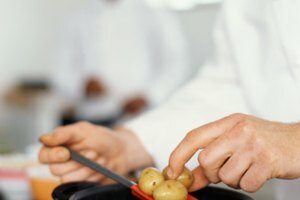 When preparing a full meal, if you have a convection oven, microwave and a conventional oven, you can make the potatoes in the convection oven while the turkey cooks in the oven and the corn cooks in the microwave. You can prepare the entire meal so that everything is hot and done at the same time. Place the sweet potatoes in a shallow baking pan. The sides must be low so that the circulation heat can reach the potatoes. Pre-heat the convection oven to 375 F.
Place the sweet potatoes in the convection oven. Bake for 30 minutes. Pull out the rack. Use a fork to pierce the sweet potatoes at least two times. Push the rack back in, close the door and continue baking for another 30 minutes. Note: Check the potatoes after 20 minutes to see if they are done. 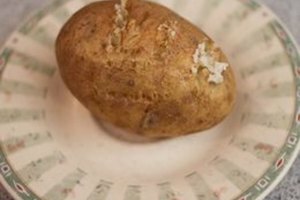 Stick a knife into the thickest part of the potato and pull it out. 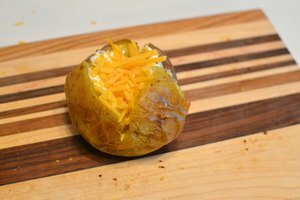 If the center of the potato is soft, it's done. 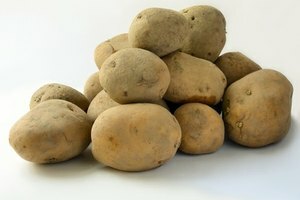 Yams and all other potatoes can be made using these same steps.